Teeth clenching and grinding is called bruxism. As this is normally a nocturnal habit, it can often go undiagnosed until perhaps a sleeping partner complains about the noise of teeth grinding, or when it begins to cause significant damage to your teeth, gums and jaws. Bruxism is a very destructive habit, resulting in worn down or chipped teeth, receding gums and sore facial muscles. In the worst case it can cause tooth loss. Bruxism is linked to temporomandibular disorder (TMD) and which affects the jaw joints, making it painful to open or close your mouth, or to speak or yawn. Your jaw may also click or pop when you move it. If you frequently wake up with chronic headaches, toothache or facial or jaw pain, then it is worth seeking a professional diagnosis from our dentist. 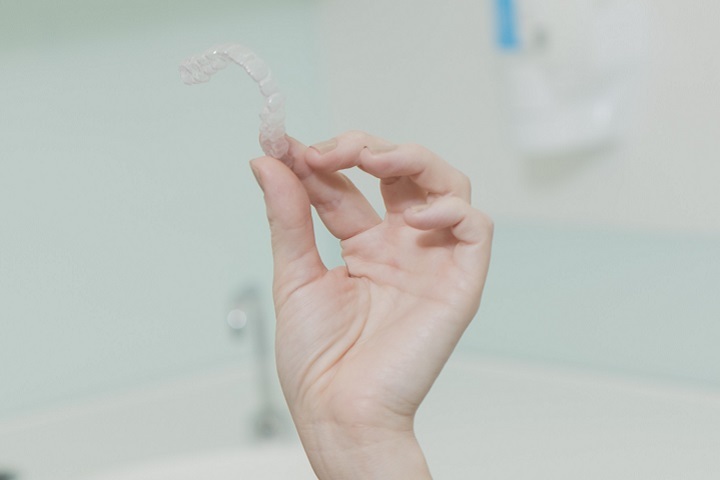 We can provide a custom-made night guard that will fit comfortably over your teeth, preventing them from contacting. Our night guards are made from a clear, strong plastic and are long-lasting and taste and odour-free. Preventing your teeth from coming into contact while you sleep will stop any further damage to your teeth and gums. Any inflammation and pain in your jaw joints should subside as they begin to recover. Vogue Family Dental is located at 2/26 Benham St, Chisholm ACT 2905. You can contact us on (02) 6291 5533.